What’s LOFT 125? It’s a whole new concept for a laid-back entertainment venue offering ages 21+ an affordable alternative for an awesome evening with friends! 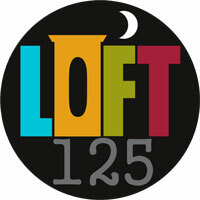 LOFT 125 will present four unique events during the 2015-16 season, including interactive as well as sit-back-and-chill events. That means entertainment ranging from games to music. With a mere $10 ticket and money-saving BYOB, it’s designed to be affordable for everyone. And, it all takes place at LOFT 125 - Madden Arts Center’s third floor transformed for the moment with casual lounge-style group seating and other comfy seats. The address? 125 N. Water St. in downtown Decatur. Popcorn is complimentary but, remember, BYOB because no beverages (alcoholic or non) are provided. LOFT 125. . . a new wave of social things to do! Get your tickets for IMPROV: Games & Stuff at www.decaturarts.org or by calling 217-423-3189. Advanced ticket purchases are encouraged but tickets will be available at the door. Who do you want to be? How do you live your life? Where do you place your faith and find strength? You are the author of your own life. Are you the man or woman YOU script? These may be questions you’ll ask yourself after experiencing the dynamic poetry performance entitled “The Man You Script” coming up Saturday, October 10 from 6-8 pm on the third floor of the Madden Arts Center. After overwhelming success performing in Atlanta, St. Louis and Houston, the Moore poets – Jaesun, Charles, Harold and Ashley – return to their hometown of Decatur, IL to share their experiences of love, life, pain, joy, failure and triumph through poetry. But it’s more than reading poetry – much more! You can expect a stage production that will make you laugh, make you cry and inspire you. The book is a collection of poems and journal entries from two generations of Moore men. They will be joined on stage by Charles’ daughter Ashley. We can’t actually walk in someone else’s shoes but what a unique opportunity to hear their words about life and witness an open door into their world! Tickets are $10 in advance and at the door (ages 21+). Your ticket includes the show and a complementary wine tasting. Click HERE to purchase online or call 217-423-3189. This year’s International Arts Experience at the Decatur Area Arts Council is an exhibit entitled CHILE & ARGENTINA: Neighboring Cultures. See it in the Anne Lloyd Gallery at the Madden Arts Center is open Monday-Friday (8:30 am-4:30 pm) and Saturday (10 am-2 pm) from June 5-July 30. As always, the exhibit is open free to the public. This colorful exhibit celebrates the blending of ancient traditions, European influences and contemporary life in the neighboring countries of Chile and Argentina. Textiles, ceramics, copper work, fine art, woodwork, artifacts and more bring the cultures to life. A major part of the exhibit is a display of Chilean posters. The poster curators, Mario Cardena and Jean Paul Brandt, are both graphic designers and university professors who received support for this project through the University of Diego Portales in Chile. DAAC Gallery Director Sue Powell met Mario last spring when he was visiting Millikin University. Her discussion with him about presenting the culture through posters and other art forms launched this whole exhibit. The rest of the art and artifact on display come from 10 private collections, plus Spurlock Museum Teaching Collection, Krannert Art Museum Teaching Collection and an Argentine artist who lives in Schaumburg, IL. The copper rooster and hen on the wall is a traditional wedding gift related to the national dance, the cueca. Most traditional Chilean wedding celebrations include the dance which parodies the courtship of the rooster and hen. The costumes are worn by the dancers who wave handkerchiefs above their heads, possibly symbolizing the feathers of the bird or the rooster’s comb. The display hutch in the corner has a number of “mate” (pronounced mah-tay) cups. Yerba mate is the national drink of Argentina. The yerba mate leaves are used to create a rather strong, caffeine-rich “tea.” Sharing mate is a symbol of hospitality in Argentina and the protocol for serving mate is followed religiously. Everyone drinks from the same cup. It’s a very social tradition that can be seen in just about any setting or group. Check out the charango (a musical instrument like a little guitar) made out of an armadillo’s back shell. If you’ve got a group that would like to visit the exhibit through our Field Trip program, which includes a discussion of the exhibit and a hands-on Chilean/Argentine craft project, contact us at 217-423-3189 or arts4all@decaturarts.org. Ask about our field trip scholarships. This exhibit is sponsored by ADM and partially supported by a grant from the Illinois Arts Council Agency. For more information, please contact the Decatur Area Arts Council visit our website at www.decaturarts.org. P.A.S.S. - Yes! That's an Arts Council Program! Do you have a child or grandchild whose class has taken a bus trip to Kirkland Fine Arts Center to see a show? Maybe you remember doing this when you were a kid. Those shows are presented through a Decatur Area Arts Council program called the Performing Arts Series for Students (PASS). For more than 45 years, Kirkland Fine Arts Center, on the campus of Millikin University, has donated the use of the theater to the Arts Council for the PASS program. This terrific program is designed to open doors to learning for children through the performing arts. Each year, six high quality shows are chosen with young students in mind to ensure they will have an entertaining, educational experience. 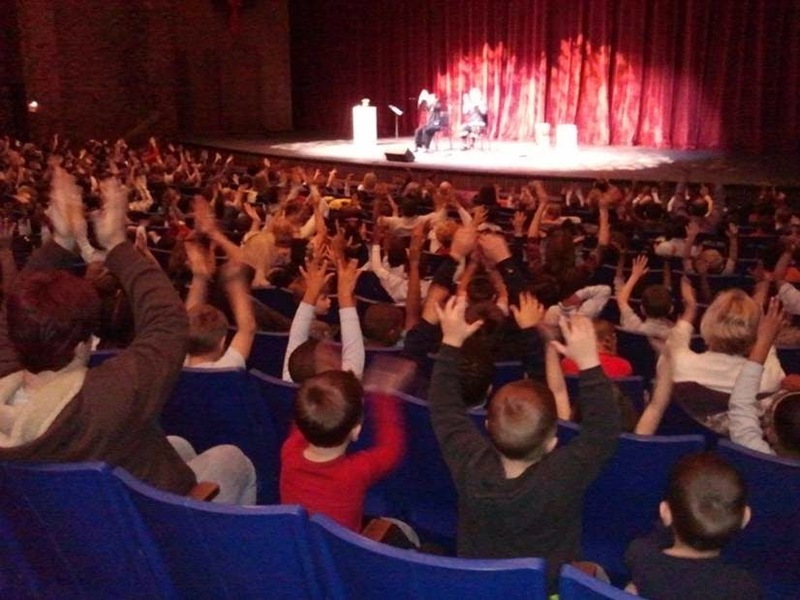 Area teachers and home school groups can reserve seats for the shows that best suit the needs of their class at a cost of $4 per student. DAAC also prepares a study guide for each performance that is sent to teachers a few weeks prior to the event to inspire thought and discussion before and after the show. The history of the PASS program goes back to the very beginnings of the Decatur Area Arts Council. When DAAC was founded in 1967, its leaders decided that arts education would be the cornerstone of its mission. Concerned about deepening cuts in school arts programs, board member Margaret Fassnacht encouraged the DAAC to develop a fine arts program for elementary school children. Under the leadership of board president Louise Fathauer, what would become known as the Performing Arts Series for Students was conceived. She would be pleased to know that it is still a popular and quality program more than 40 years later. As construction on the Kirkland Fine Arts Center on the Millikin campus neared completion in 1970, community expectations ran high for the new facility. It turned out to be the perfect venue for the PASS program and that partnership has endured to this day. Four concerts were scheduled at Kirkland between October 1970 and March 1971, with performances by Millikin bands, choir, and the Millikin-Civic Orchestra. Millikin University and the Symphony Guild of Decatur have continued this partnership by providing on-going talent and support for the PASS program. Over the years, scheduled performing groups have grown to include elements of theatre, dance, history, and even science. A special thanks to the vision of those early Arts Council leaders. I’m often asked where the Decatur Area Arts Council gets the money to offer all of its terrific programs. The short answer is... from the generous people throughout the Decatur area... people like you. two grants each year from the Illinois Arts Council Agency for general programs and regranting that amount to approximately 5% of our annual budget. Also, a number of our programs charge a modest fee to help keep them delivering great arts experiences to our community. Otherwise, individual members, business sponsors, foundations, corporations, and our two annual fundraisers fuel our programs and activities. A donation from Susan Wade to make our free arts classes for seniors possible. A gift from the Young Philanthropists Giving Circle to fund Experience: ART Field Trip scholarships. A grant from Homefield Energy to allow us to offer bus scholarships to transport kids to PASS performances. If you’re among the many folks in our the Decatur area who believe, as we do, that the arts are an important part of what makes our community special, you can help. Any gift, large or small, will enable the Decatur Area Arts Council to fulfill our mission to increase the impact of and access to the arts and improve the quality of our city. 11% - Technical Assistance – AICP & Misc. Make • Explore • Share Your Creativity! Just about all of us have our “thing.” The thing that interests us, that we read about, devote our time to, and spend our money on. Often it’s an activity where we work with our hands and produce something tangible like woodworking, knitting, painting, gardening, photography, beekeeping, video, robotics, or cooking. We’re often called enthusiasts, hobbyists, or even tinkerers. If we’re lucky, we know people with the same passion and there’s even a club or organization for us. Being part of a group with a common interest is the easiest way to learn new or better way to do our “thing.” It also gives us chance to share our knowledge and creations others. But what if you’re looking for something new or you’d like to share your “thing” with people who aren’t familiar with it? Well, mark your calendar for an exciting new community event coming in April 2015! The University of Illinois Extension Office is hosting Make•Explore•Share Day on Saturday, April 11, 2015 from 10:00 a.m.-4:00 p.m. on the campus of Richland Community College. It’s an event for people who tinker in the garage, want to get back to basics, want to see where technology can take us, or just want to learn more about new, great ideas. This gathering of fascinating, curious people is free for exhibitors ($1.00 for attendees). Exhibitors must be willing to demonstrate part of their craft during the event and have a handout or web link with instructions, so participants can replicate what they see. It’s all about sharing! If you’d rather keep your process and ideas top secret then Make•Explore•Share Day may not be for you. In addition to demonstrating your craft, exhibitors are welcome to have items for sale on display. To be an exhibitor, register HERE. Deadline to apply is March 1, 2015. For more information on Make•Explore•Share Day, call University of Illinois Extension at 217.877.6042 or email maconcountyextension@illinois.edu. Find them on Facebook at Make•Explore•Share. As schools across the country have faced budget shortfalls in recent years, a common cost-cutting measure is to slash funding for arts education, prioritizing what are deemed more essential subjects such as math, reading, and science. We’re really very fortunate in Decatur/Macon County that there are several organizations that sponsor visual arts competitions/exhibits for young artists. They give students have an opportunity to display their art work in the public galleries in the Madden Arts Center, Kirkland Fine Arts Center, and Richland Community. Some may even be exhibited in Washington DC or Japan! Students in Decatur Public Schools can be a part of two visual arts exhibits organized each year by District #61, one for elementary students and another for middle and high school students. This year, the Elementary School Exhibit will be May 4-8 and the Middle and High School Exhibit will be April 27-May 1, in the Madden Arts Center. Have your child ask their teacher about this opportunity. Gallery 510 Arts Guild sponsors several annual shows for young people. Each January, the Young Artists’ Showcase presents the art work of 5th-8th grade students from all over Macon County in the Anne Lloyd Gallery at the Madden Arts Center. Another Gallery 510 coordinated student competition is the Adopt-A-Pet Art Competition, co-sponsored by Decatur & Macon County Animal Shelter Foundation, and Northgate Pet Clinic. They are currently judging the nearly 400 entries from children in kindergarten to 12th grade. Winning artwork will be exhibited on the third floor of Madden Arts Center on March 6-11, with an award ceremony at 5:30 p.m. Friday, March 6. Millikin University hosts the Annual A.C.E. High School Art Exhibition each November in the Perkinson Gallery of the Kirkland Fine Arts Center. There are several art competitions that your young artist still has time to enter. Decatur Sister City organization in sponsoring the Tokorozawa Art Drawing Contest. It is open to elementary and middle school kids. Ten drawings will be selected to be display in the Tokorosawa Japan City Hall at the annual Tokorosawa International Friendship Exchange Forum from March 10-15, 2015. There is no specific theme for entries but hurry because the deadline is February 10, 2015. If you have questions, email Maki Ostrnader at ots@cebridge.net. 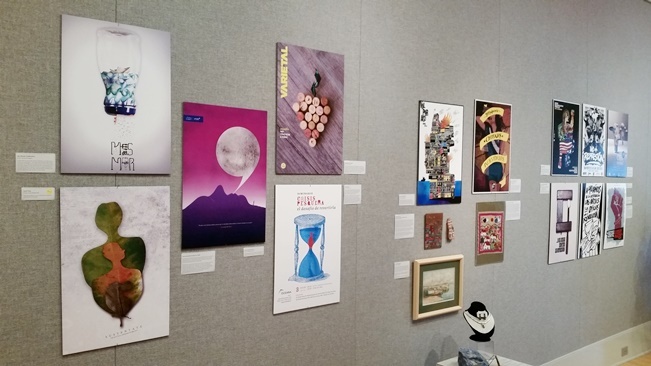 The Office of Congressman Rodney Davis coordinates the annual Congressional Art Competition for high school students in the congressional district. Schools are invited to submit the two-dimensional art work of their students for exhibit in the Springer Cultural Center in Champaign, IL. The Best-of-Show artwork will go on to hang in the Capitol Building in Washington DC for the entire year. If your school would like to participate, contact Congressman Davis’ office for a Registration Form. The submission deadline is March 6, 2015. Call Jennifer White at 217-403-4690 or email jen.white@mail.house.gov. Another exhibit coordinated by Gallery 510 is the Arts in Education Spring Exhibit. It promotes area art programs in the schools at the junior and senior high school level. Teachers use this opportunity to have the students not only enter the show but help hang the artwork. The exhibit will hang in Madden Arts Center, 3rd floor Gallery from March 31-April 10, 2015. The submission deadline is April 1, 2015. For more information, call Gallery 510 at 217-422-1509 or email gallery510@sbcglobal.net. If you have a budding young artist who yearns to see their art work hanging in a genuine gallery and not just on the bulletin board in their class room, find out more about these terrific opportunities. Far from his home in Romania, Ilie Vaduva recently landed in Decatur and has established himself in a studio at the Heroic Age Art Center in Mt. Zion. His childhood love of art was nurtured throughout his school years, during which he trained in decorative mural painting, graphic design, printmaking and classical skills. 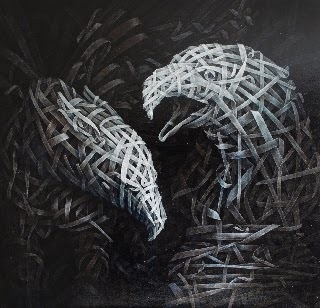 The Decatur Area Arts Council presents Vaduva’s U.S. debut with the exhibit “EGO VS. ALTER EGO” in the Anne Lloyd Gallery at the Madden Arts Center from February 5-28. The exhibit showcases huge wall-size paintings that combine his unconventional touch of classicism with surrealistic images. An opening reception, free to the public, will be held on Friday, February 6 from 5-7:30 pm during the First Friday Gallery Walk. Ilie Vaduva will be on hand to meet and talk about his work. The following week, on Wednesday, February 11 from 6:30-7:30 p.m. Vaduva will give a presentation, entitled “Layer By Layer,” as part of the DAAC ongoing Members-Only Series. Soft spoken but passionate about his work,Vaduva will provide insights on his technique and a demonstration surrounded by his work in the Anne Lloyd Gallery. You’ll be able to ask him questions or try your hand at his technique. The exhibit is funded in part by a grant from the Illinois Arts Council Agency. For more information, contact the Decatur Area Arts Council at 423-3189.